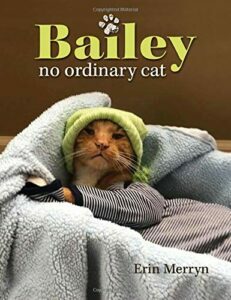 Follow Bailey on Instagram (https://www.instagram.com/bailey_no_ordinary_cat/) or Facebook (https://www.facebook.com/NoOrdinaryCat/), and visit the author at www.facebook.com/Erin-Merryn-1489241081354556/. Dr. Hricik is currently Emeritus Professor of Medicine at Case Western Reserve University and served as the Chief of Nephrology and Hypertension at University Hospital’s Cleveland Medical Center from 1993 to 2017. His research interests have focused on complications of immunosuppression and immune monitoring of kidney transplant recipients. He has published more than 180 articles and books, and 35 book chapters. Reno, NV. It’s the first night of Hanukkah, and all through the house everything is going like clockwork for secret gift-giver, Hanukkah Harvie. But it’s also Christmas Eve, and when Harvie enters a household that celebrates both Hanukkah and Christmas, he comes face-to-face with the one and only Santa Claus! When the shocked pair realize that some families appear on each of their lists, the competition is on to prove which holiday reigns supreme. 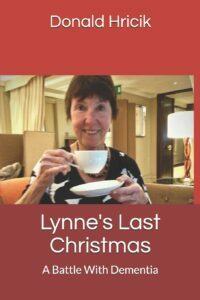 The two engage in a humorous gift-giving frenzy, and in the process, discover that working together is always better than working against each other. Hanukkah Harvie vs. Santa Claus: The Chrismukkah Kerfuffle is an amusing, heartfelt holiday tale from acclaimed author David Michael Slater, featuring gorgeous illustrations from artist Michelle Simpson. 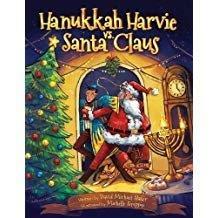 A treat for children (and adults) of all ages, Hanukkah Harvie vs. Santa Claus promotes the powerful messages of tolerance, acceptance and compromise, some-thing — in the wake of Squirrel Hill (where David grew up) — our country needs more than ever. West Palm Beach, FL ― Life’s a real zoo at Legacy Farms, where 14 chickens, a couple of dogs and an assortment of horses with diverse temperaments learn to share their days on the sprawling homestead. Based on the true life adventures of author Melissa Taylor’s charming chickens, A Runtamuffin Tale is a delightful new children’s book that follows the life of Runtamuffin — or Runti — a tiny chicken with a big personality. Runti becomes the first chicken brave enough to form a bond with one of the farm’s largest inhabitants — a beautiful horse named Mariett. All the animals on the farm soon learn that differences in size and outward appearances don’t mean a thing in this colorful tale that subtly interweaves valuable life lessons on sharing, believing in yourself, love, friendship, anti-bullying and mutual respect. The 57-page book, wonderfully illustrated by Marc Beauregard, targets children ages 6 to 12 and would make a treasured addition to any family’s home or elementary school library. 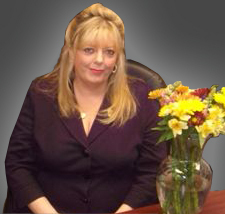 Author Melissa Taylor was born and raised in the small town of Nazareth, Pennsylvania. Melissa’s mom filled her childhood home with animals, which cultivated Melissa’s love and desire to surround herself with all types of four- and two-legged creatures. She currently lives, owns and runs a farm with her husband in South Florida with 14 chickens, 34 horses, 5 dogs and a cockatiel. Hardcover and digital download available from www.runtavision.com. New Children’s Book Says “Aloha” To A Blizzard … In Hawaii! Inspired by his two young daughters, Mike Guardia penned a delightful children’s story just in time for the holidays. It’s Snowing in Hawaii is a whimsical, beautifully illustrated book that has appeal to kids who love colorful pictures to bring the story alive, and to parents everywhere who want to give their children something different and more meaningful this holiday season. A Captain in the US Army Reserve, Mike Guardia is the renowned author of several military history books, including Hal Moore: A Soldier Once…and Always and Shadow Commander. He makes a great guest. Please read the following press release and consider interviewing Mike during this holiday season to reach everyone out there looking for something different for their children, or let me know if I may forward a copy of his new children’s book for a review. If you wish to run this story, let us know and we’ll be happy to send you a jpg of the author and book cover for your use. Thank you! Houston, TX – That’s right kids, it’s snowing in Honolulu. Get ready to say “Aloha” to the first snowstorm Hawaii’s ever had. Written in verse and beautifully illustrated, It’s Snowing in Hawaii takes the reader on a magical journey through the snow-filled beaches of Honolulu. 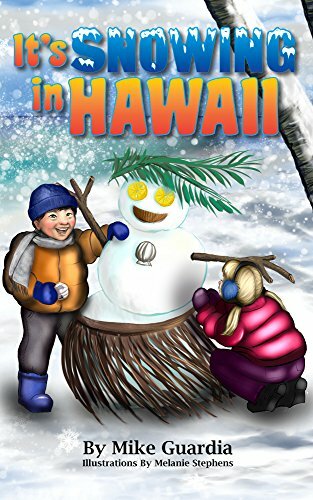 With Hawaiian flannel shirts, bearskin hula skirts, and figure skating on Pearl Harbor, young readers will enjoy the silly rhymes of a Hawaiian snow day. Mike Guardia is the renowned author of several history books, including Hal Moore and Shadow Commander. However, being the father of two young girls has inspired him to write It’s Snowing in Hawaii – his first children’s book. He currently lives in Texas. Follow him online at www.mikeguardia.com. Melanie Stephens is a distinguished artist and children’s book illustrator. A proud mother of three, she currently resides in Virginia.